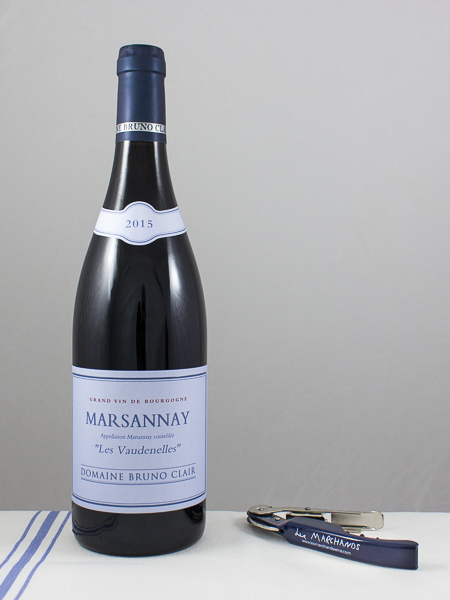 Bruno Clair‘s grandfather, Joseph, was the founder of the famous Domaine Clair-Daü in Marsannay in 1919. Joseph Clair spent his career, some 50 years, purchasing holdings in some of the most important vineyards throughout Burgundy. Bonnes Mares. Clos Vougeot, Savigny-Les-Beaune La Dominode, Vosne-Romanee Aux Champs Perdrix and Chambertin Clos de Beze to name a few. Serious stuff! After Joseph died the domaine unfortunately fell apart becuase of the competition between the children and many of the precious holdings were either sold off or leased out. In 1979 Bruno Clair founded Domaine Bruno Clair with some vineyards that he had inherited from his father Bernard. Over the years he has been able to reclaim many of the original vineyard holdings that his grandfather acquired and now has 23 hectares of magnificent premier and grand Cru plots under his Domaine. Bruno Clair is loved by everyone in Brugundy. He is known as an excellent viticulturalist and is the kind of winemaker that other winemakers hold in high esteem. His work ethic, attention to detail and love of the craft make him a true vigneron. All of his vineyards are farmed organically although not certified. Marsannay is an underestimated village and one of the truly great values still left in the region. The commune does not garner the same name recognition of its neighbors to the south, so the wines are often consumed too early. The rocky soils in and around the town produce structured offerings that often show much better after 3-5 years of cellaring. Vaudenelles is no exception. This is a rugged, rocky site that rewards a patient caretaker with elegance and delicacy.